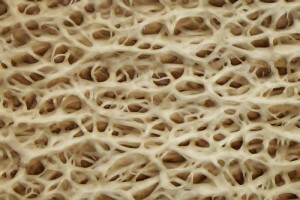 Research into the growth of collagen at the molecular level and its work in forming sets of body structures, like bone, blood vessels, tendons, skin, heart tissue, and even corneas, is currently being conducted at Texas A&M University, which may in turn help researchers distinguish molecular-level differences in complex collagen networks formed under different conditions. Wonmuk Hwang, associate professor of the university’s Department of Biomedical Engineering, has been working on a computational model and a novel computer program, and his findings were recently featured on the cover of the Physical Review Letters journal. Collagen, the most abundant protein in the human body and a popular compound in cosmetics, is the structural protein in connective tissues like tendons, ligaments and skin, but also in corneas, cartilage, bones, blood vessels, and teeth. Hwang has been focusing on the use of collagen in the formation of this variety of materials, being especially interested in investigating how collagen fibrils assemble into ordered networks on surfaces. The surface assembly of collagen is particularly relevant for the investigation, and biomedical engineers are currently trying to use collagen-based coatings on implantable medical devices as a way of preventing the devices from being rejected by the body’s immune system. Hwang already found that collagen fibrils assemble into a crabbed network of triangular shapes, and the larger shapes are iteratively filled with smaller ones. The scientists characterized the type of structure as fractal, despite the fact that fractal patterns are not only found in collagen, but also in nature, such as in river networks, clouds, seashore lines and mountains, or among the light-carrying nano fibers of optical-based electronics. “When it comes to collagen formation, we need to understand what happens at the molecular level, and we need to be able to do this in a measurable way, quantitatively, to better understand how collagen grows and differentiates. The guided framework that has resulted from both this theory of collagen growth as well as the validation of our simulations provided by the CAFE program is helping achieve this goal,” he explained. CAFE, or Computer-Aided Feature Extraction, is the theory and computational model developed by Hwang about the network formation process, which is meant to accurately predict and stimulate the growth process. The models were tested against actual collagen networks using the program, which is able to recognize individual fibrils in images of complex collagen networks. “With this program we can measure filament lengths and orientations in a complex image,” Hwang said. “This is important because once we have this quantitative information we can have a direct comparison with simulations. We can simulate a network with the parameters and qualities of a real collagen network. Hwang believes that the combination of the model with CAFE will enable his research to precisely distinguish the different networks that are formed within slightly different experimental conditions. Recent results may lead the scientific community toward better understanding collagen and its versatility. Previous article Wider Genetic Screening For Breast Cancer?